100% Natural Cotton Canvas toiletry bag – perfect as a travel bag or as a gift bag! Fits all Professor Fuzzworthy Beard Care products and full large beard kits! Easy to handle, simple design, and convenient to carry! Voted #1 Beard Shampoo in the USA and Amazon’s Choice with 4.7 stars of over 500 peer reviews! 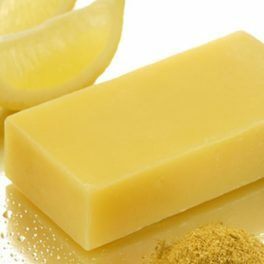 A chunky 100% natural shampoo bar rich in conditioning olive & castor oil, Leatherwood beeswax and honey,gently but thoroughly cleanse your hirsute pride and joy leaving it healthy fluffy and shiny!… antiseptic essential oils such as Tasmania’s kunzea and Lavender to keep skin healthy too! Can be used as a hair shampoo as well! The ultimate beard care pack for your hirsute pride and joy Discover the fresh feeling of a healthy, luxurious, soft beard…. A gentleman’s beard or moustache must be tended to and well groomed at all times…These simple yet luxurious grooming aids will attain a healthy, moisturized, and wonderful feeling beard! Always 100% Natural Chemical Free & Handmade from pristine ingredients from the Tasmanian Rainforest- selected to fortify your beautiful beard and maintain healthy soft hair and importantly- skin (relieves beard itch!). Beard Conditioning Detangler With Tasmanian hop infused certified organic raw coconut oil, and beer for gloss and shine…Our super concentrated gentle 100% natural and long lasting beard conditioning detangler bar not only detangles and smoothes your beard but moisturises too ….! Great for daily use on all hair types. 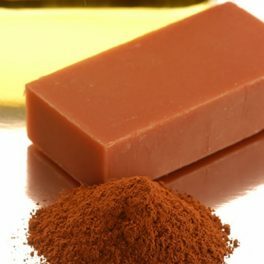 Moisten bar, work through beard, detangle, and rinse! Mount Wellington spring water, olive,coconut castor oils, soy wax Leatherwood beeswax,Tasmanian Seaweed extract, Leatherwood honey, cocoa powder,essential oils.